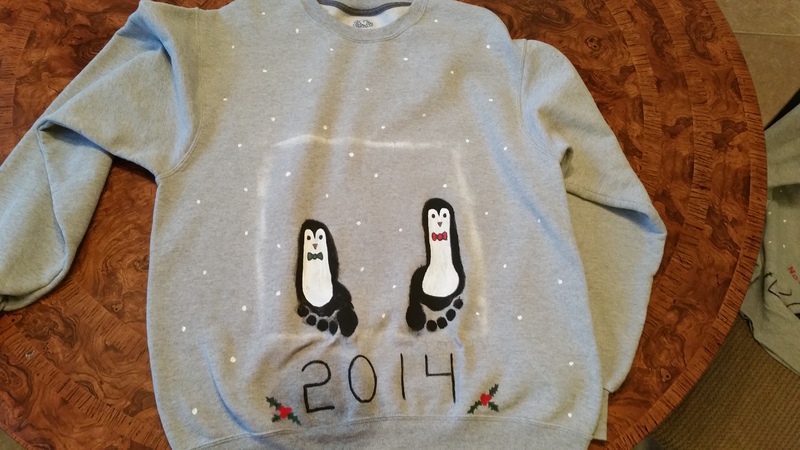 Want to know what I made at the last minute this year? 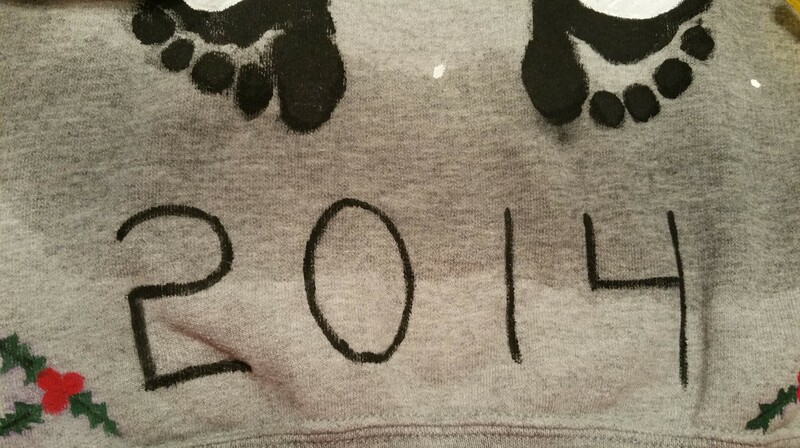 Fun winter themed footprints from my kids! 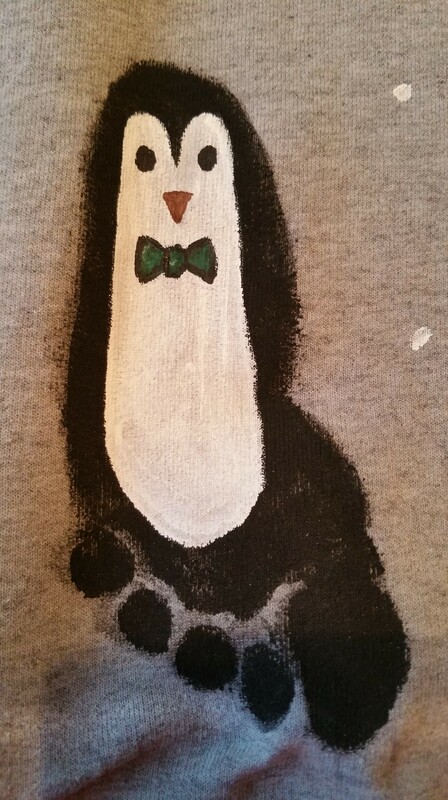 If you are searching for something you can complete quickly: the shirts/sweatshirts need time to dry in between layers but it won’t take too long if you follow my directions. 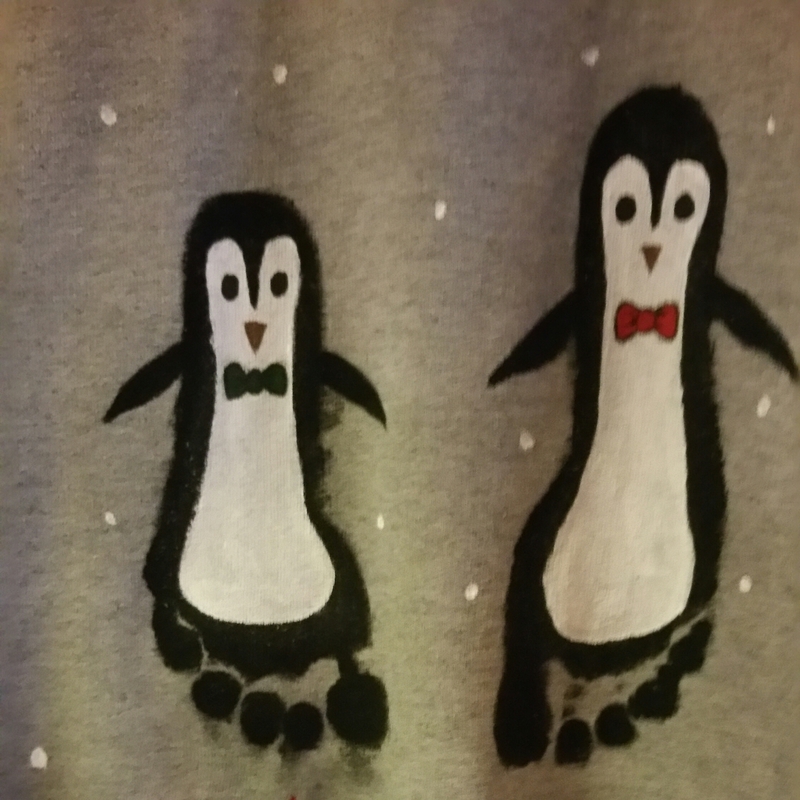 I chose a winter theme (rather than Christmas) because if you gift these to grandma and grandpa: they can wear these outside of the Christmas season! Also, if these arrive late: who cares!? 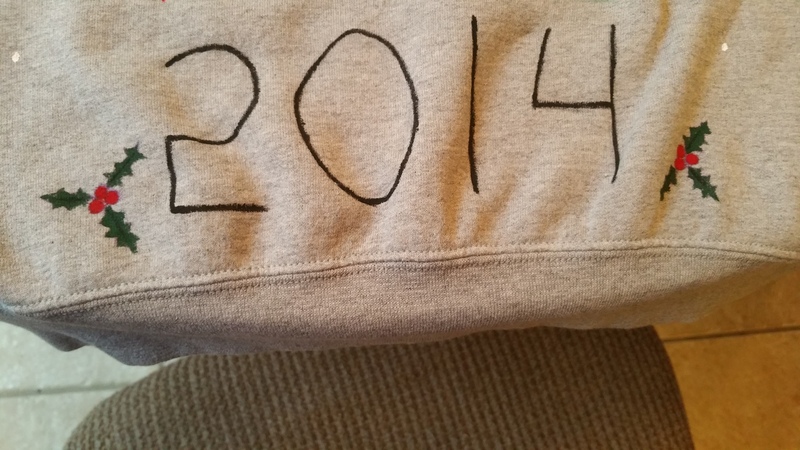 Grandma and grandpa will still love them and be able to wear them until it gets warm out. If your Christmas season is during the warm months (those of you South of the equator) you can give these during the colder months of your year. A Way To Clean Up! A bathtub full of warm water for older kids or warm water on paper towels to clean paint off of a baby’s foot. Get out your supplies. Put on the shirt or sweatshirt (if these are too small for you to wear hold them up against your shoulders so they drape like you are wearing them.) 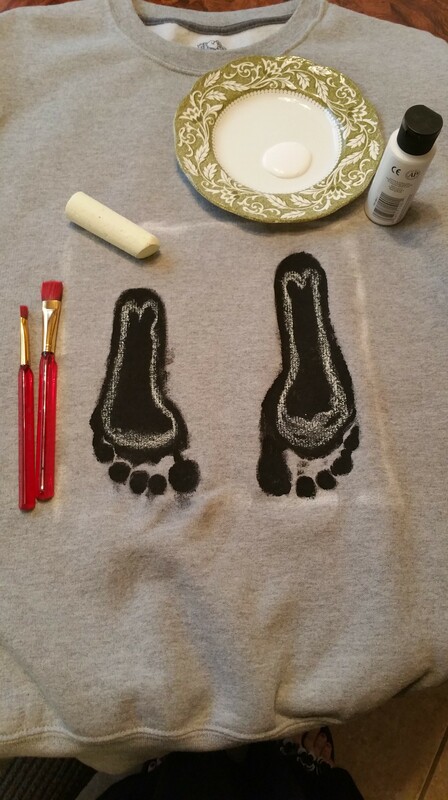 Go in front of a mirror and use the chalk to make a large square where you would like the footprints to be. 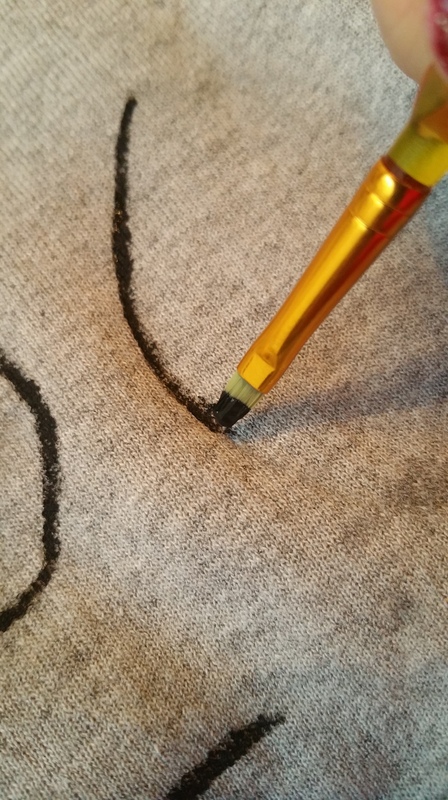 Make sure your bottom line is straight and that you have left room for whatever labels and names you want to add below the feet. Grab your kids and go in the bathroom! 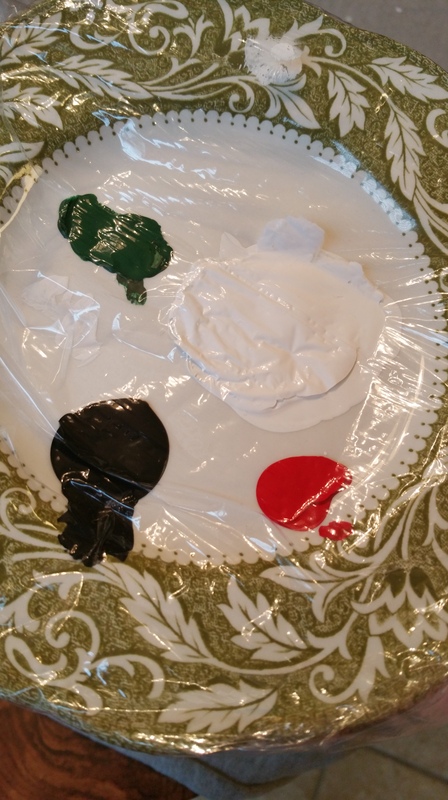 This is really messy while your kids are involved! Choose the foot you want to use (or if you are using both of one child’s feet start with one foot first.) 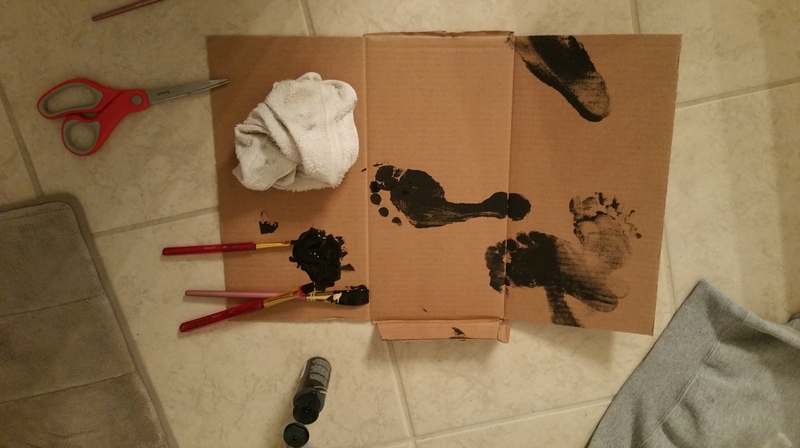 Paint your kiddo’s foot with black craft paint and test stamp it on the cardboard. 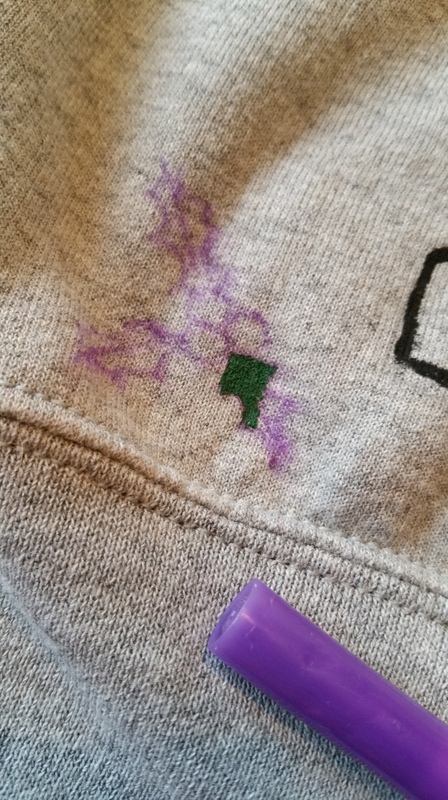 Once you’ve figured out how much paint you need for a good stamp CAREFULLY stamp your kids foot on the shirt with their toes at the bottom line. (If you are dealing with a baby put some cardboard inside the shirt so you can stamp sideways while the baby lays on it’s back. Wait until they are sleeping heavily to do this or they will wiggle their toes. You may only have one shot at this per nap.) Make sure you have room to either hang these out of the way immediately or have a place you are able to put them flat to dry! 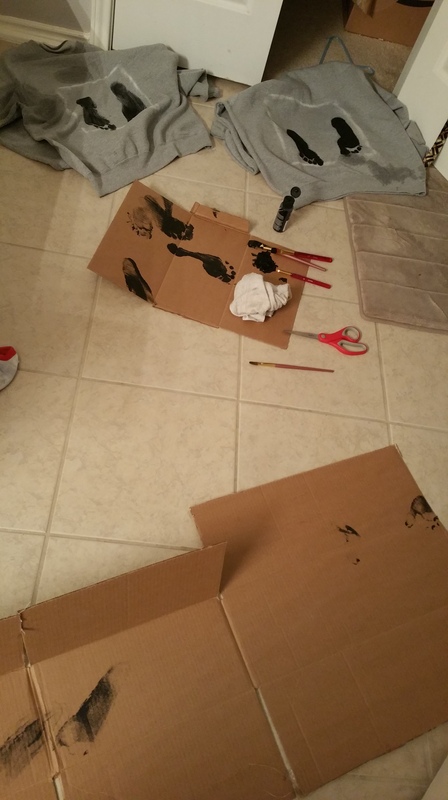 Once you get a stamp: quickly wash your kids foot off or they will put black paint everywhere! 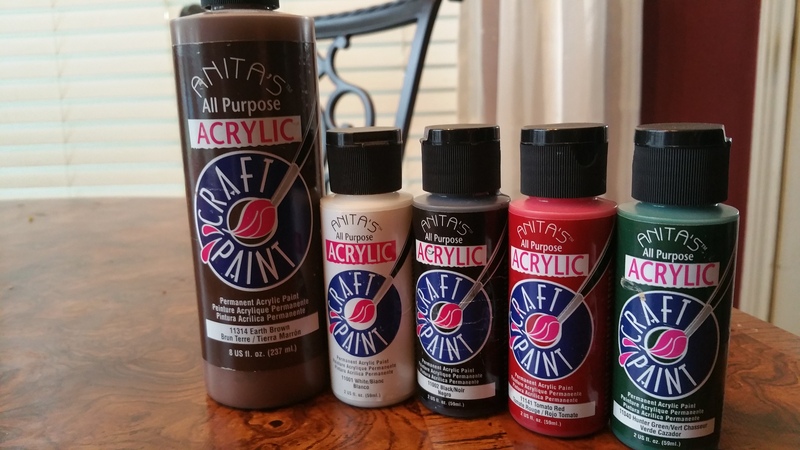 It doesn’t have to be perfect because you will be filling it in with more paint in a moment. Get all of prints that you want to use. 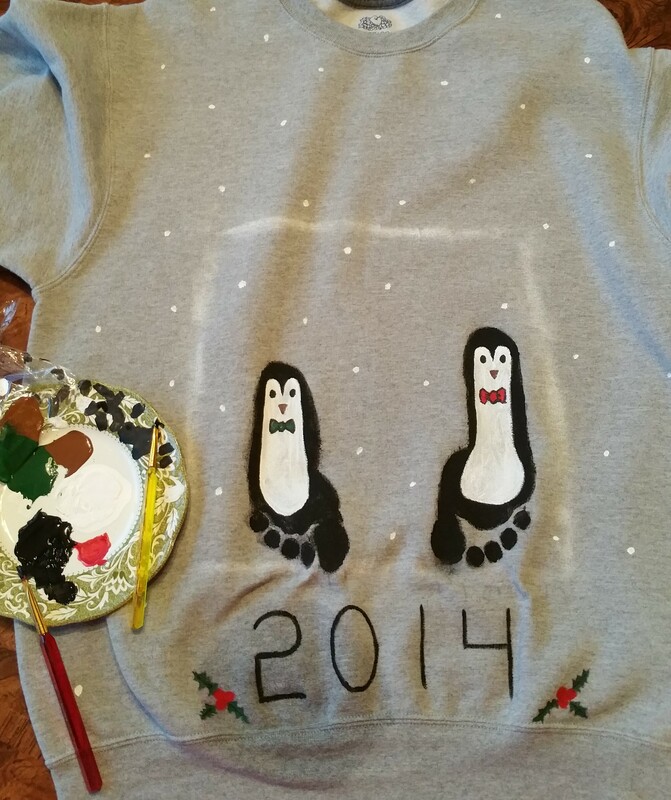 (For a large family this could take some patience!) 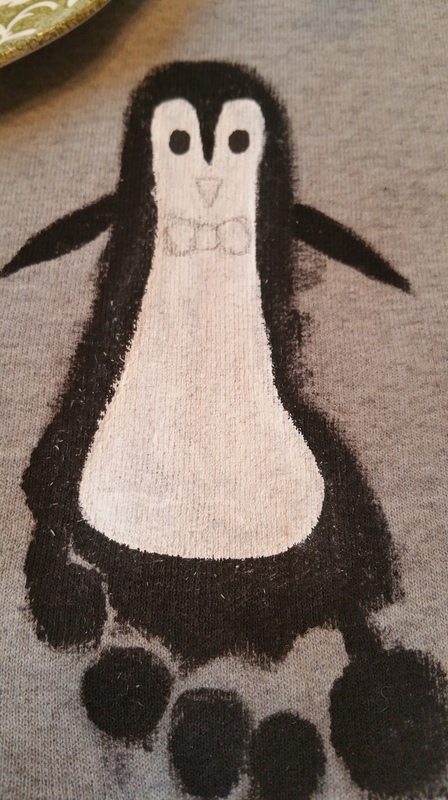 If you really mess this up and need to start over: carefully wipe off as much paint as you can and scrub, then wash the shirt well. 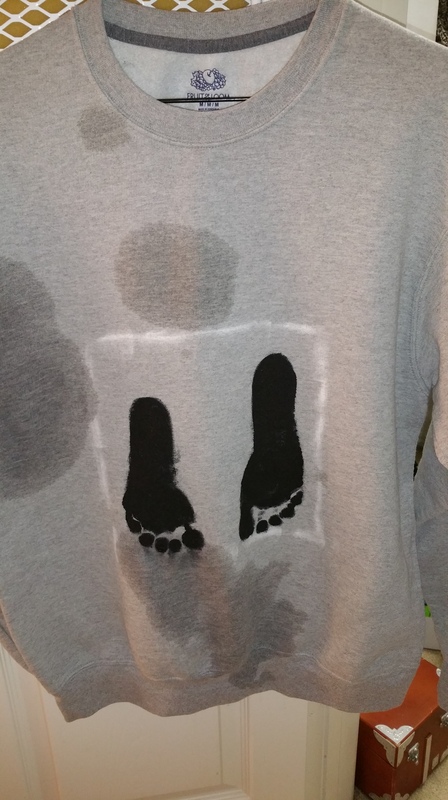 Once you and your kids are cleaned up take the shirt in on a clean hard surface and fill the footprints in until they are solid. 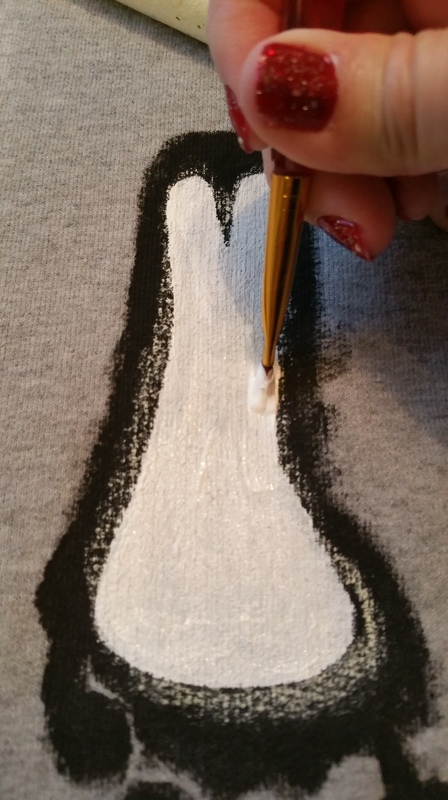 It is easier to push the paint towards a line than pull it across the fabric. 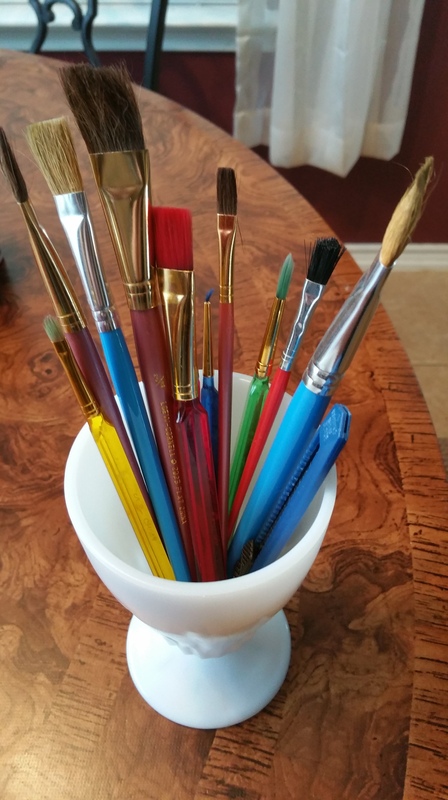 A moist surface accepts paint better than a dry one will. Let the foot prints dry completely. 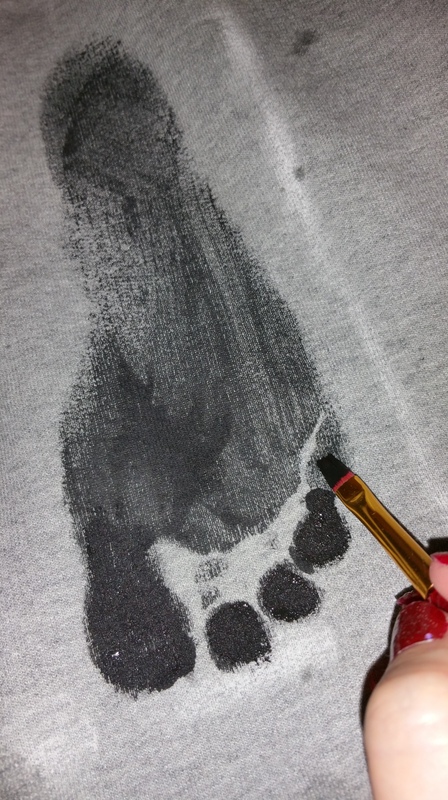 Draw in your details on the foot print with a pencil or chalk. 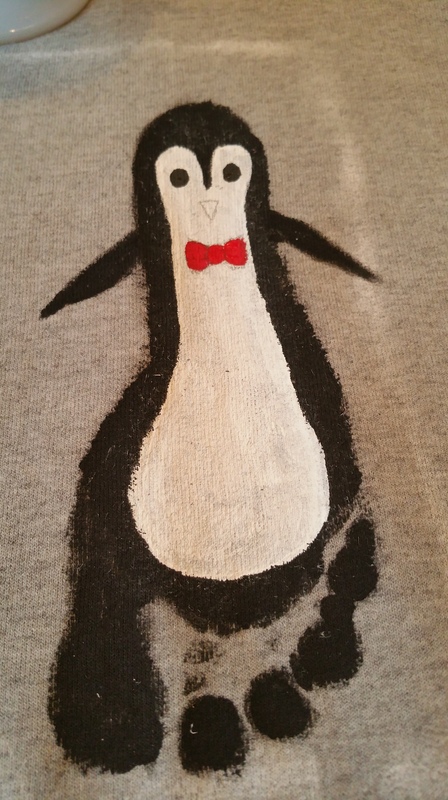 Paint your large white front on the penguins, add wings in black, paint in the names and paint the background colors on any details you want to add. Get ready to impress your gift recipient! We mailed ours to the grandparents but if you are going to see them this Christmas: you still have time to finish these! Have fun, try not to completely stress out and if you post your work online please remember where you got your instructions and link back to this page! Merry Christmas and a Happy New Year! Previous PostDecadent Herbal Cold Remedy: Turmeric MilkNext PostStained Glass Cookies! Looks like I need one of those. Hope Santa is listening! They’re fun for parents too. 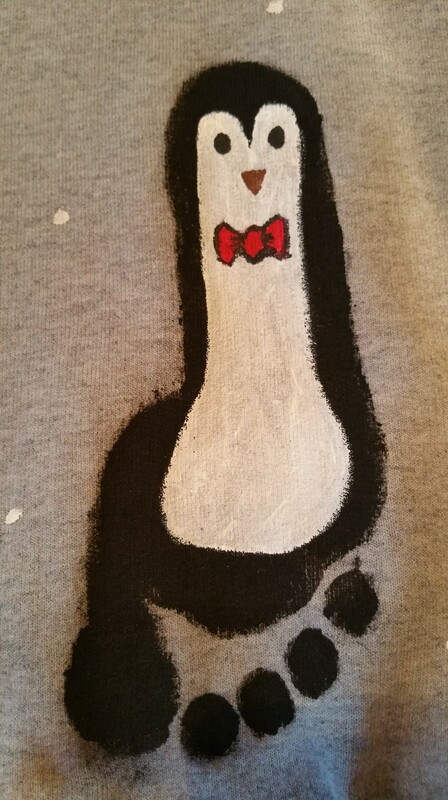 My mom is making some for my brother. I hope Santa hears your wish! Merry Christmas!